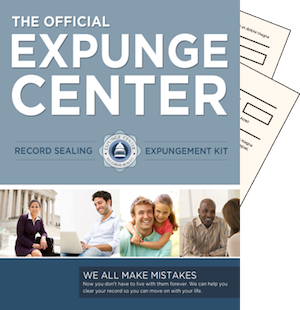 Expungecenter.com provides New York expungement services and bypasses companies that seek to exploit others. The website aims to aid those who have been harmed by New York records, and gives them a second chance for a clean lifestyle. Job application websites and background database websites often exploit individuals for the benefit of others. By archiving their personal information, individuals may have their future relationships, reputation and employment statuses compromised. Criminal records are usually permanently cataloged within courthouse archives, and are available to decision makers who desire to uncover and view a previous law offender’s past. Most states allow previous offenders to remove a single criminal offense catalog. However, other charges are permanently stored, and can harm future familial and social relationships, and can tarnish a job applicant’s name, grounded upon distant past events. The creators of Expungecenter.com are themselves victims of mug shot and background check exploitation. The site lets users expunge record in New York by avoiding legal fees commonly attached to a lawyer. An individual must normally file a request to seal a previous conviction, and do so with a local state courthouse. The request to have records erased is sometimes denied, and the New York expungement process may appear in government application checks. The entire process is not fool-proof, and does not guarantee a free slate. New York state laws dictate a filed conviction may not be removed until a full sentence is served. Additionally, the only method of removing a conviction history is only accessible through filing judicial forms, and through a local council. These forms are viewed by a judge as well as other community officials; the process lengthy, laborious, and sometimes disregarded altogether. Expungement.com expedites this process in a risk free and legitimate way. On the website, users can access and download a unique kit. This kit allows previous offenders to redeem past mistakes, and grants them a second chance. The kit saves individuals thousands of dollars in lawyer fees, and removes the emotional damage of slander from the process. The kit is exclusively accessible on the website—so as to avoid courthouse appearances—and contains a step-by-step guide, one that directs users in the right direction. The kit shows users how to expunge record in New York, in an effective and completely legal manner. It allows residents of New York to destroy harmful information present in resource databanks, as well as any trace of personal information accessible through background checks, job interviewers and online applications. Government accessible applications and housing applications are also cleaned. Sealing a record grants an individual both a clean past and a limitless future. It allows family relationships to flourish, and allows job opportunities to be accessible once more. The process is quick—and completely legal—and provides invaluable opportunities. Expungecenter allows users to have a second chance, one free of past failures. The website has a mission to help individuals across the country, and give them a renewed life record.